The talent behind the camera is equally impressive: Mélanie Laurent, star of such films as Beginners and Inglourious Basterds, directs, adapted from True Blood creator Nic Pizzolatto's novel of the same name. 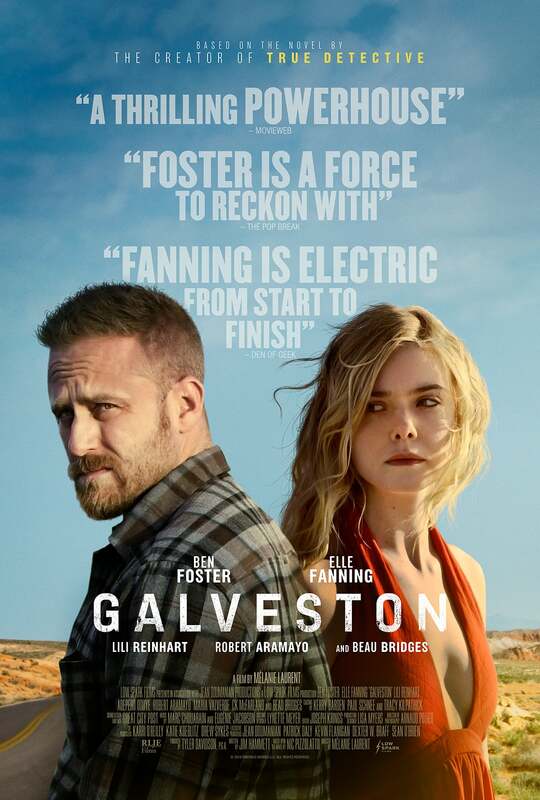 Galveston is in theaters and available digitally and On Demand on Oct. 19. "Roy (Foster) is a heavy-drinking criminal enforcer and mob hit man whose boss set him up in a double-cross scheme. After killing his would-be assassins before they could kill him, Roy discovers Rocky (Fanning), a young woman being held captive, and reluctantly takes her with him on his escape. Determined to find safety and sanctuary in Galveston, Roy must find a way to stop his boss from pursuing them while trying to outrun the demons from his and Rocky's pasts."